The follow up to Florence + The Machine's album 'Ceremonials' is due out soon…we hope. Florence fans…it's time to rejoice. 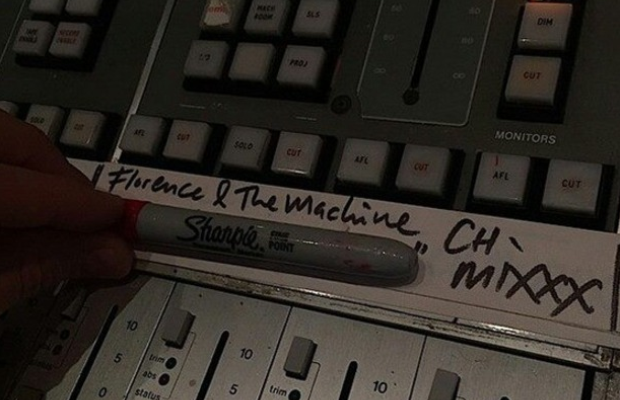 It looks as though a new Florence + The Machine album is on it's way VERY soon. With it now being 2015 (we know, we want Christmas back too), it has officially been FOUR years since Miss Welch and co brought us their second album 'Ceremonials'. The photo above was posted to Florence + The Machine's most dedicated Facebook fan site 'Florence + The Machine Army'. As you can see somebody is hiding a line of handwriting there which is surely the title of the third album. The band recently revealed they will be playing a handful of live shows this Summer including the 'Flow Festival 2015' in Finland. Hopefully we'll be able to hear some brand new music soon.